The captain of Indian Cricket team, Virat Kohli is now regarded as the ‘king of brand endorsements’ for he has endorsed 17 brands by now. He is no more a celebrity but a brand in itself and there’s simply nothing, ‘Brand Kohli’ can’t do. 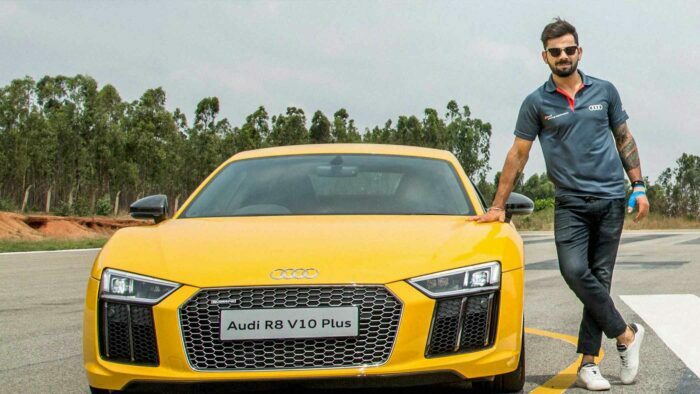 With a brand value of $14.5 million (approximately Rs 105 crore), just turned 30, has built an extensive list of experience in brand endorsements. Let’s have a look at them together. 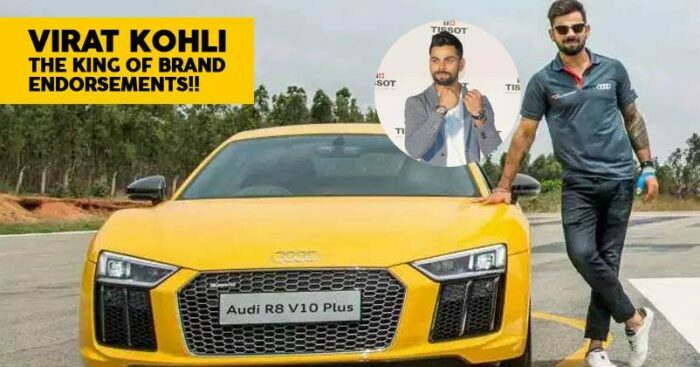 As an ardent fan of Audi, he owns a solid range in them, namely, A8, R8 and Q7, Kohli has endorsed Audi very recently with a keen interest in it. Also Read: Is Prithvi Shaw All Set To Become The New Virat Kohli Of Advertising World? 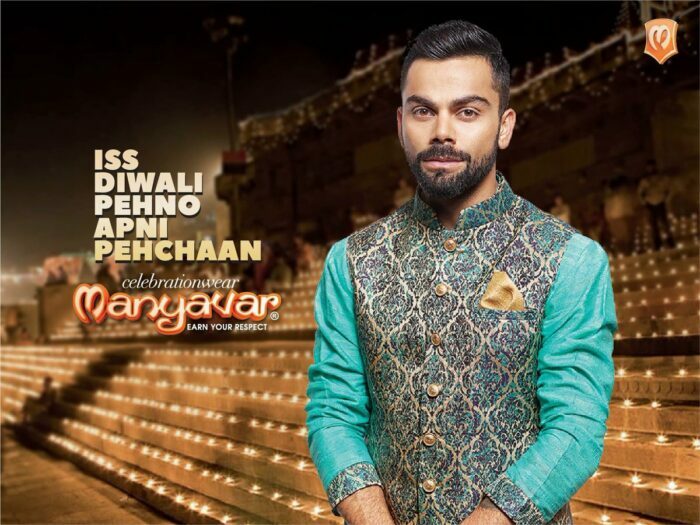 Another famous brand endorsement that Kohli was involved in is Manyavar that decided to launch Virat as their official brand Ambassador in the year 2016. Ever since then, Manyavar kept gaining fame until it came to be known amidst the best men’s ethnic wear brand when Anushka and Virat got married. Virat has also been seen endorsing Puma, a German brand that is extremely popular for their amazing collection in bags, shoes and more. We see Kohli has given some major hits with these brand endorsements. No wonder this cricketer guy is all over the place. 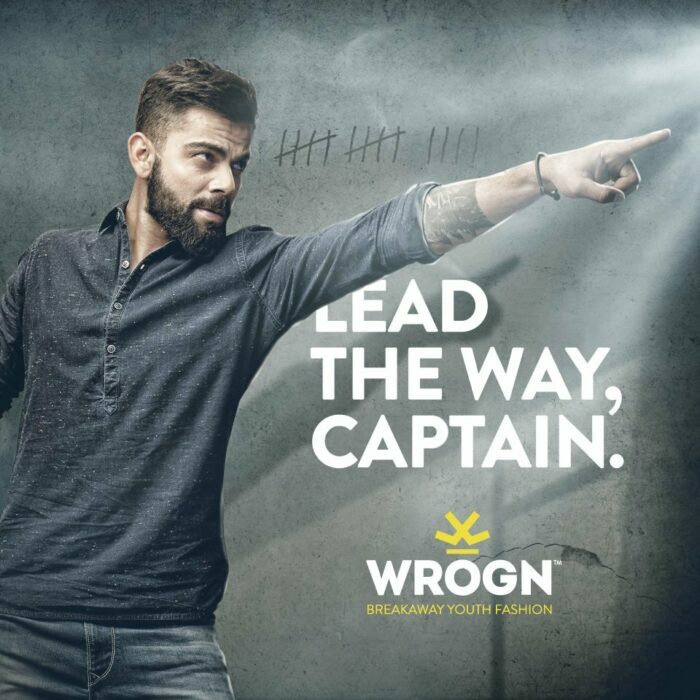 In 2015, Virat also promoted Wrogn, that is a famous clothing line. 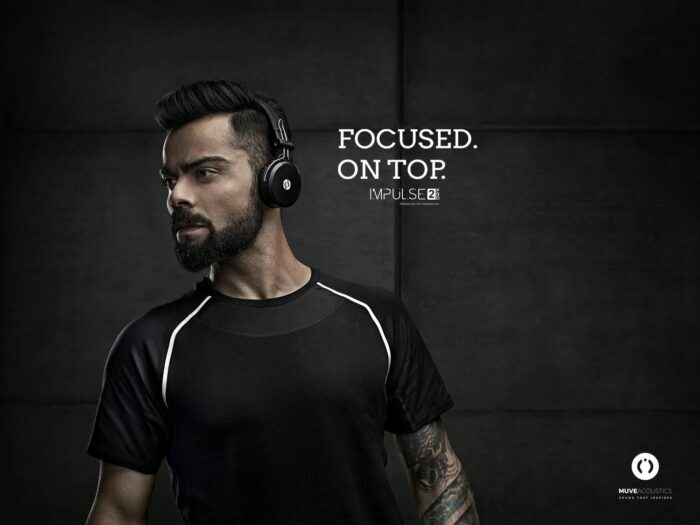 This brand founded by Universal Sportsbiz was co-created by none other than our hero, Kohli. How cool is that? 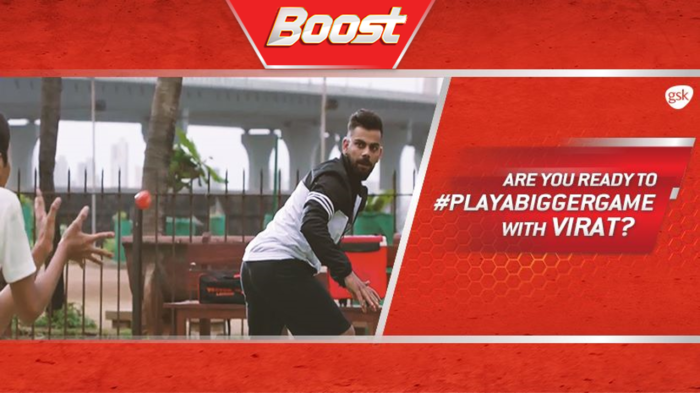 Virat Kohli, is a fitness freak and no wonder he endorses one of the leading GSK’s products – Boost Energy. 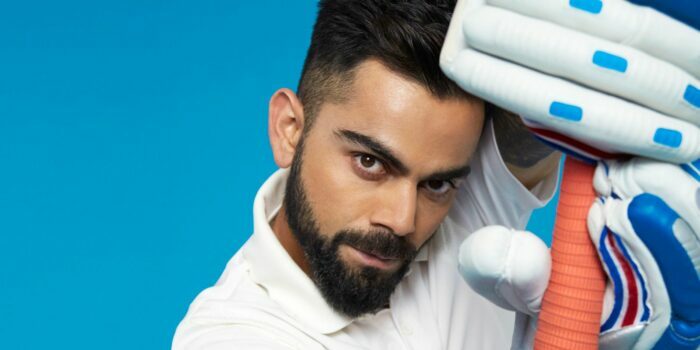 Virat was declared as the brand ambassador of Tissot in 2016. This brand also went up to launch a Virat Kohli Special edition called Tissot Chrono XL Classic. 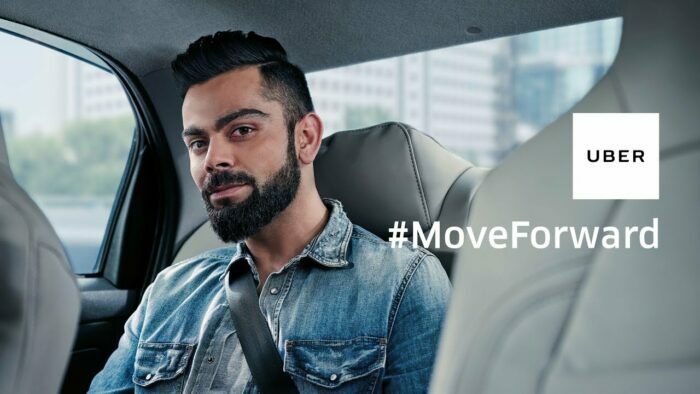 Apart from them, Virat Kohli was also signed as a brand ambassador for Uber in 2018. He took the initiative to both functions in its marketing and promotional business alongside being the face of the brand, Uber India. This is a Hong-kong based electronic company called Zeeva that signer Virat Kohli in 2017 to launch MuveAcoustics. For all those who watch television may also have seen Virat starring in an advertisement that promotes MRF tyres. In 2019, Virat signed up with the company for 8 years from now. 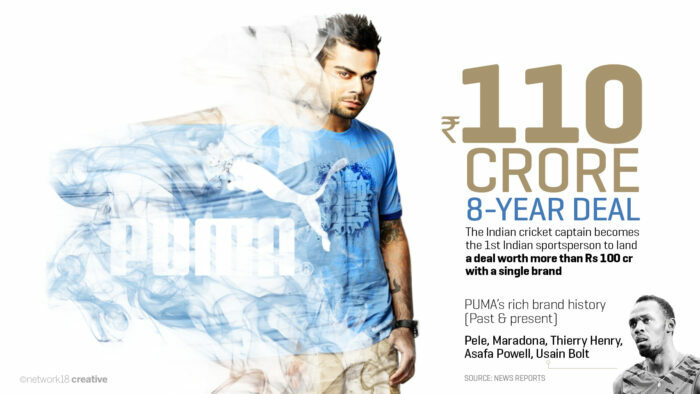 Of course, its all evident that Virat is working extremely hard with the endorsements. These were some of the best endorsements by Kolhi and we are sure its is only going to get bigger and better in the future!